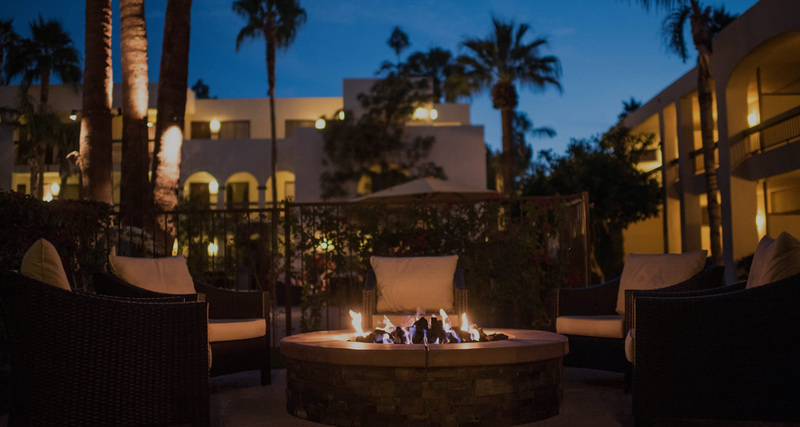 Just steps from the excitement of downtown Palm Springs, slip into the oasis of Palm Mountain and unwind poolside or around one of our many fire pits. 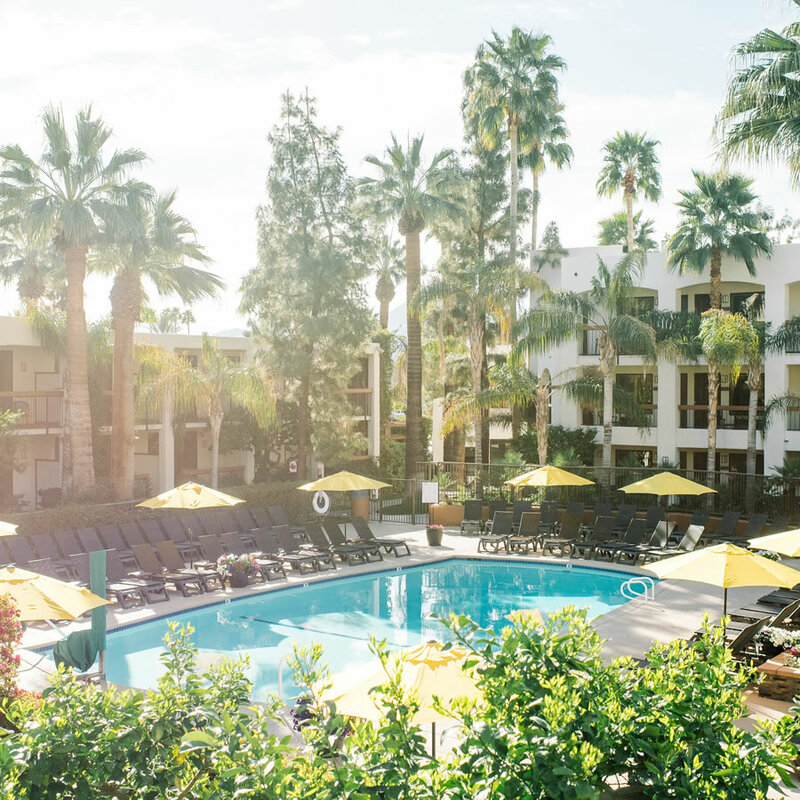 Take advantage of incredible rates, romantic getaways, and all that Palm Springs has to offer with our specials and packages. 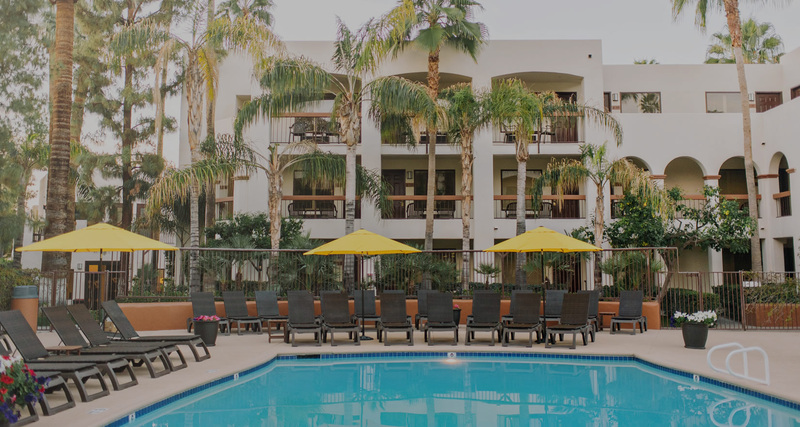 Indulge in seasonal specials, deals for locals, and always enjoy pool and hot tub access when you treat yourself at The Spa. From weddings, reunions and group tours to executive meetings and traditional room blocks, leave the details to us and head to the sun. 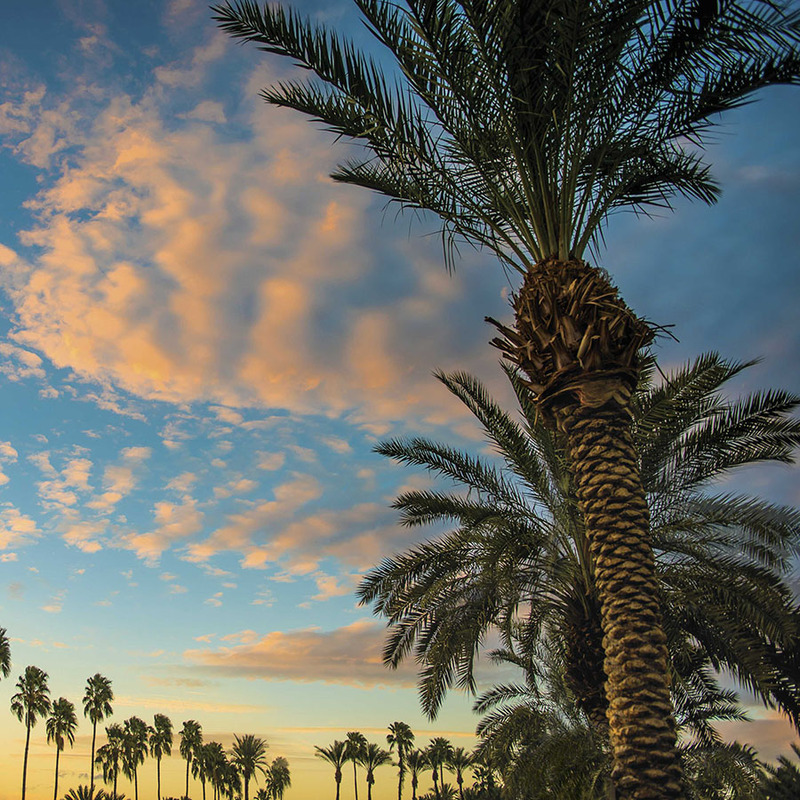 Shopping, wine tasting, outdoor exploration, golfing, and more. 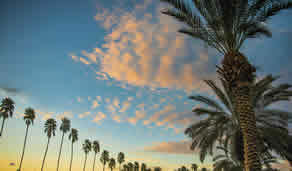 Palm Mountain Resort is in the heart of it all. 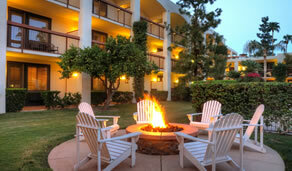 Chill with us and enjoy last minute savings up to $60 off the Best Available Rate. 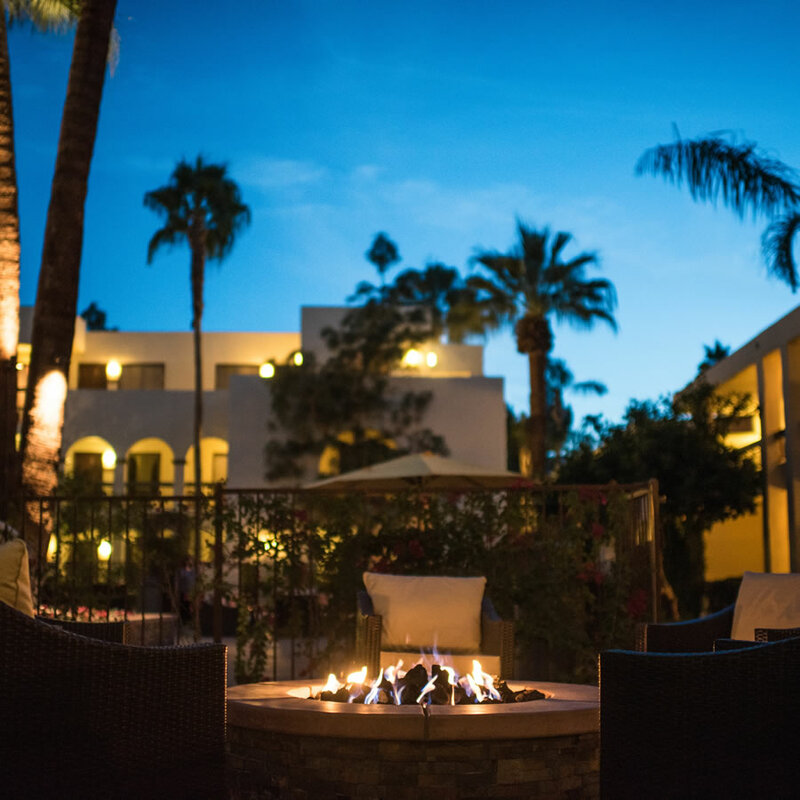 Fall in love all over again under the desert sun at Palm Mountain Resort. 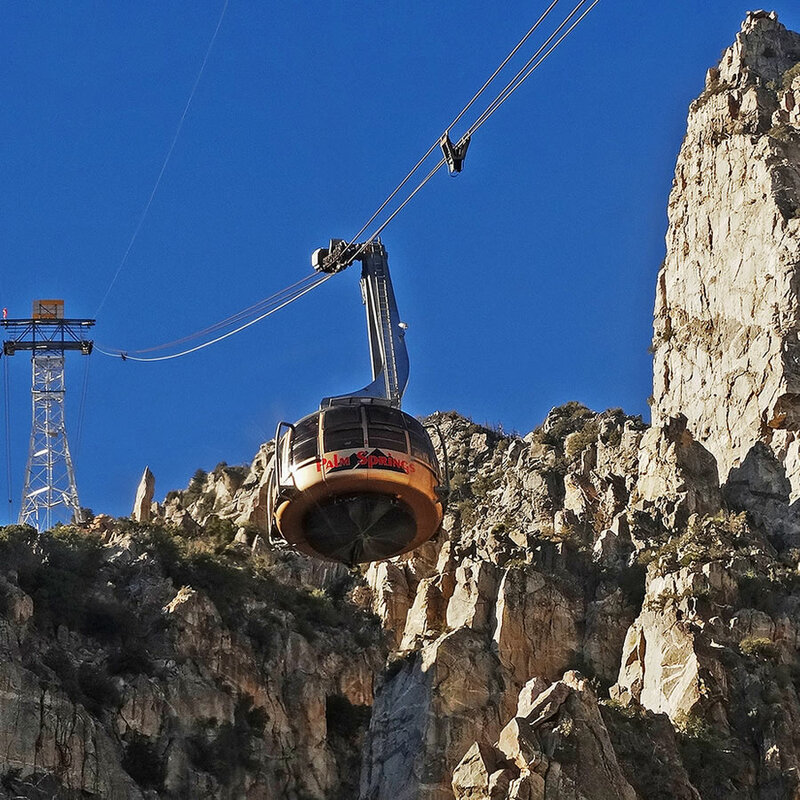 Explore Palm Springs from above by boarding the world’s largest rotating tram car. Baby on the way? 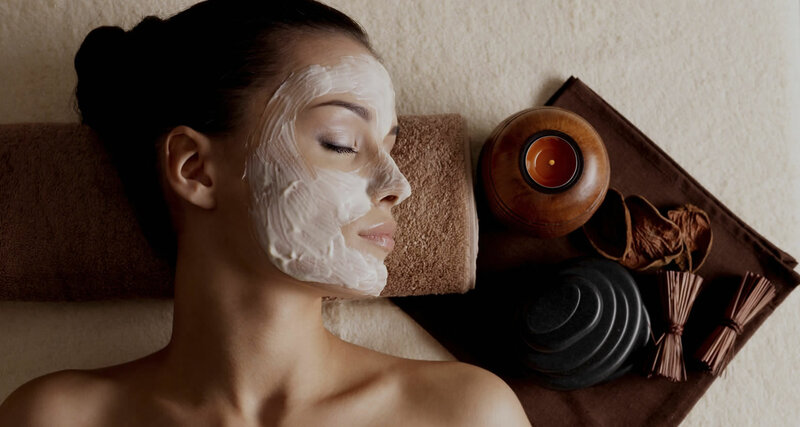 Indulge in a relaxing weekend together at Palm Mountain before your sweet bundle of joy arrives. 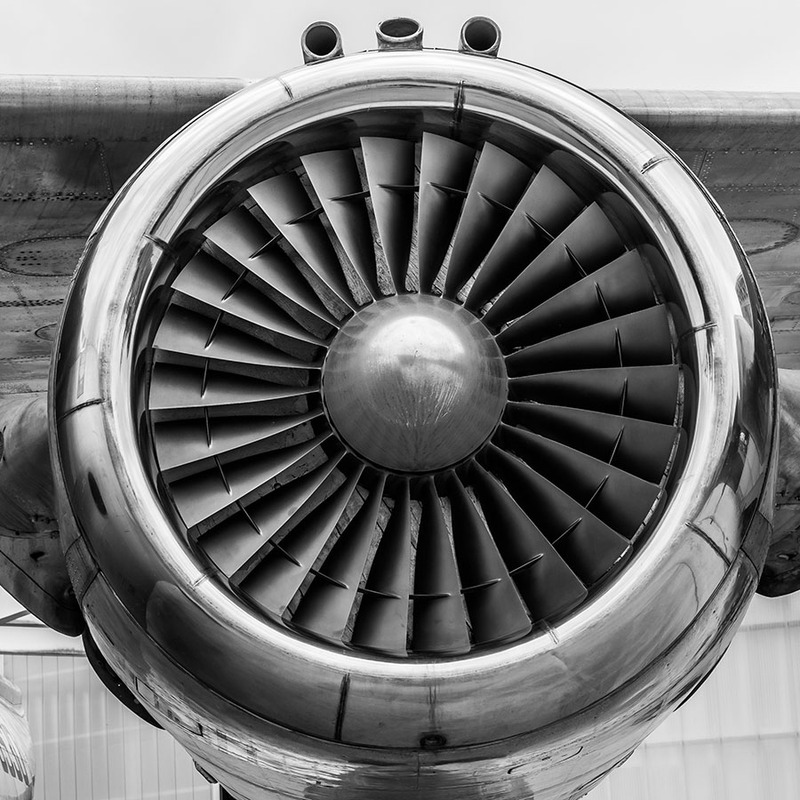 A relaxing getaway created especially with the aviation buff in mind. 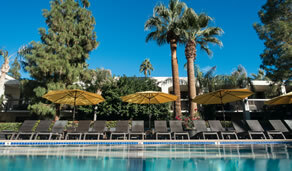 An intimate "I Do" for two awaits at our Palm Springs hotel, complete with sunshine and romance. *Advance reservations are required. Rates are based on double occupancy and subject to availability. Blackout dates apply. All package amenities are per room, per stay, unless otherwise noted. Rates do not include tax or resort fee. 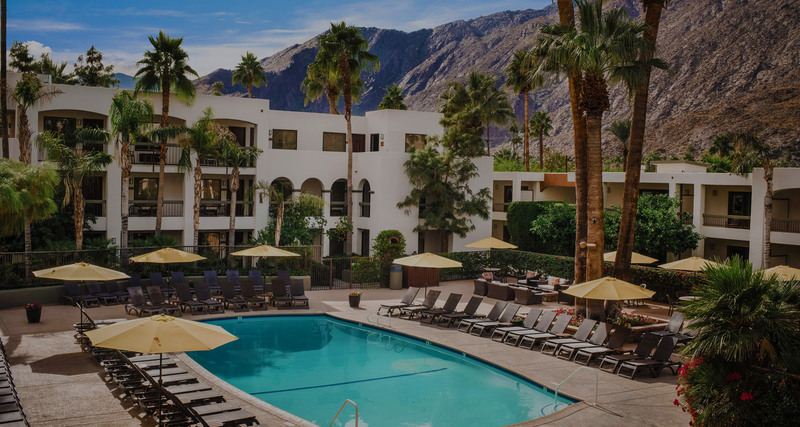 Resort fee of $19 per night, which includes shuttle service to/from the airport, coffee and bottled water in room, Wi-Fi throughout, daily newspaper in the lobby, local phone calls and faxes, and the use of Palm Springs Fitness.